Mt. Yahiko（弥彦山）stands solidly in the middle of the vast Echigo Plain. 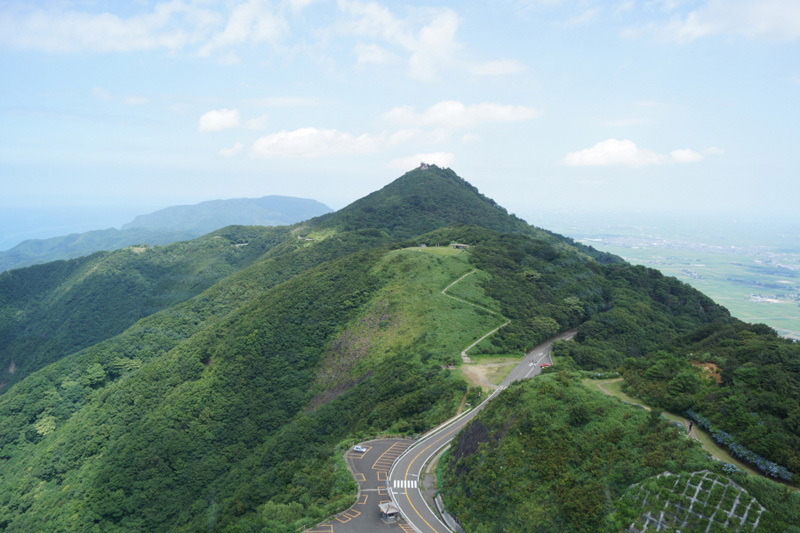 It’s the main mountain of the Yahiko mountain range in Hokuriku, on the northern side of the main island of the Japan archipelago. This mountain and Mt. Tahou, located further north, come as a pair, a twin-peak, and are themselves sandwiched by two other mountains: Mt. Kakuda (角田山) to the north and Mt. Kugami（国上山）to the South. The author of the widely-appreciated book “The Best Hundred Mountains in Japan”, Kyuya Fukuda, mentions Mt. Yahiko in its afterword: “Mt. Yahiko is definitely a significant mountain, worthy of mention, but unfortunately it lacks the necessary height to be included in this selection.” It says a lot that this low mountain (it’s only 634m) is of such unique beauty that it warrants special honors. And it’s a mountain that’s long been worshipped as special by the locals. Evidence of this ancient worship is the Yahiko Shrine, which sits at the foot of the divine mountain. That’s the Satomiya shrine, located close to people’s habitat for people to frequently pay a visit. 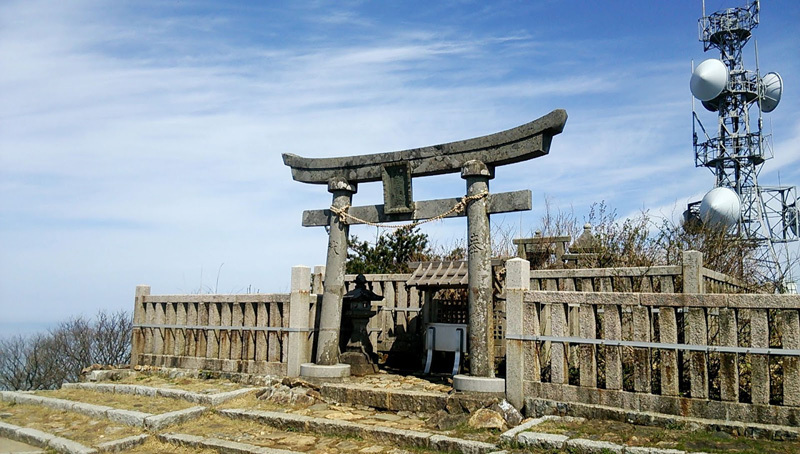 At the peak of the mountain is the Okumiya shrine, the innermost shrine, where the deities are really enshrined. The central deity enshrined there is Iya-Hiko-no-Ookami (伊夜日子大神), otherwise known as Amano-Kaguyama-no-Mikoto (天香山命). This deity even has a third name, Taka-Kuraji-no-Mikoto (高倉下命). It’s under this name that he is mentioned in the myth of the Eastern expedition made by the very first Emperor, Jinmu, as a deity who played a very important role in the genesis of Japan. The story goes back to before Emperor Jinmu’s accession. At that time he was called Kamuyamato-Iwarehiko. He left Hyuga Province (south-west Japan) towards Yamato (today known as Nara in central Japan) with his troops. On his way, he was sometimes joined by regional local rulers, and hence gained extra troops, and other times he needed to battle with opposing powers. His ultimate goal was to unite the whole nation as one country. The journey took many long years. Just before they reached Yamato, his troops were stopped by the largest and the most fierce rebel group. The rebels were led by the local guardian deity, Nagasunehiko, and the deity challenged Emperor Jinmu, blocking his way to Yamato. The deity Nigihayahi was said to be the elder brother of Ninigino-Mikoto, the ancestor of Emperor Jinmu, and was said to have descended to the land of Yamato before his younger brother Ninigino-Mikoto descended to the Hyuga province. So this mighty rebel army led by Nagasunehiko battled fiercely against Emperor Jinmu’s forces. As a result, Jinmu’s troops almost got defeated and were barred from advancing. Remembering that he was the descendant of the original creator of all the deities, the Sun Goddess Amaterasu-Omikami, Jinmu argued the reason for their defeat was that he was going against the nature of the Sun by traveling from west to east. 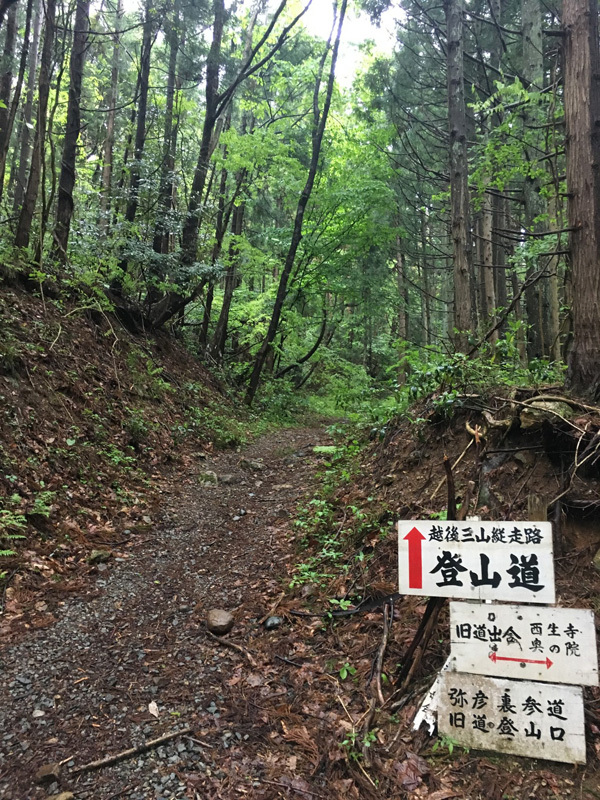 He chose to abandon his strategy of reaching Yamato from the west side, and went all the way around the Kii Peninsula so that he would approach Yamato from the south-east, from the region of the river Kumano in present-day Wakayama prefecture. That journey through the deep, mountainous land protected by many mountain deities was fraught with hardship and violence. Before they reached Yamato, Jinmu succumbed to the poisonous power of these local deities. All seemed lost. At the last moment, the deity Taka-Kuraji-no-Mikoto brought to Jinmu, with the help of Takemikazuchi (建御雷神: the deity of war who played an important role in the Izumo Kuniyuzuri myth), treasures and powers that were his salvation. He granted the mortally-weakened Jinmu a mighty weapon, the Ten Hands Long Sword (十拳剣:Totsuka no Tsurugi). With it, the recovered Jinmu faced Nagasunehiko once more. But it was the Nigihayahi, the deity that Jinmu’s opponents worshipped, who handed Jimnu the head of Nagasunehiko. This concluded Emperor Jinmu’s expedition to unite the nation, and he was thereafter known as Hatsukuni-shirasu (“he who first ruled the nation”). It is Taka-Kuraji-no-Mikoto, who played the crucial role in this genesis myth of the nation, who is enshrined at Mt. Yahiko (where he is referred to as Amano-Kaguyama-no-Mikoto). The story continues that this Amano-Kaguyama-no-Mikoto was gifted a special sword, Futsumitama-no-Tsurugi (布都御魂剣), for saving Emperor Jinmu, and came to subjugate three provinces: Owari (尾張), Shinano (信濃) and Koshi（越）. Ultimately, it is said that he got an Imperial edict to develop Echigo (越後) and after landing at its Nosaki beach (野積の浜: current Nagaoka city), he educated the locals in the industrial wisdoms of fish catching, salt production, rice cultivation and sericulture, etc.. Known as the deity of such many and significant accomplishments, Amano-Kaguyama-no-Mikoto (a.k.a. 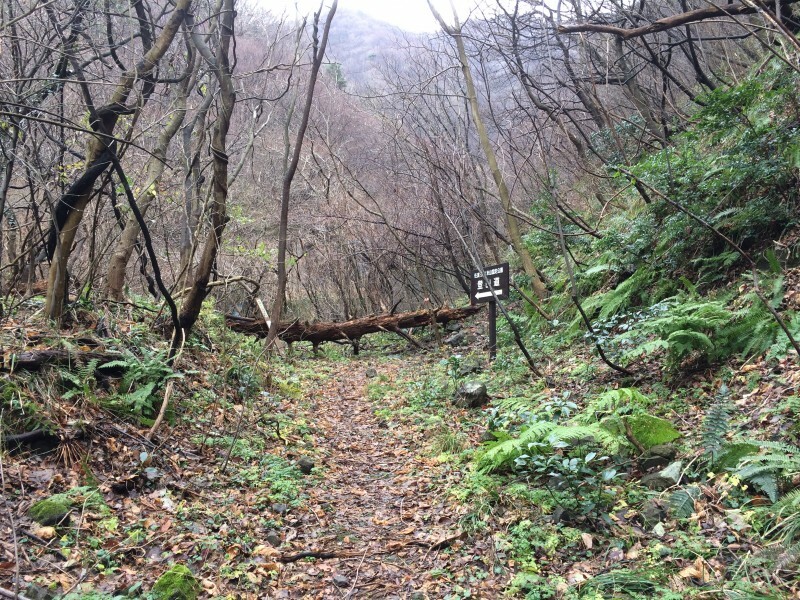 Taka-Kuraji-no-Mikoto) was eventually enshrined at the top of Mt. Yahiko by the locals with the name, Iya-Hiko-no-Ohkami (伊夜比古神). That same shrine, Yahiko Shrine, survives to the present day. Yahiko Shrine is famous for being one of the shrines where the “repose of souls” festival (鎮魂祭：Chinkon-sai Festival) is held. Other shrines include Isonokami-Jingu Shrine (石上神宮) in Nara and Mononobe Shrine (物部神社) in Shimane. It’s a ritual event also conducted in the present-day imperial court to bring peace to the past Emperors of Japan ahead of Niiname-sai (新嘗祭), the harvest festival at which the Emperor makes tributes to the gods. Yahiko Shrine has the honor of hosting the repose-of -souls ritual because the sacred ten treasures given to Jinmu before the final battle, Amatsu-Shirushi-no-Mizutakara (天璽瑞宝), is said to be the offerings used in the very first ritual to repose the souls of past Emperors and Empresses with magic spells. All of this highlights how important the deity Amano-Kaguyama-no-Mikoto (a.k.a. Taka-Kuraji-no-Mikoto, a.k.a. Ilya-Hiko-no-Ohmikami) is in the world of Japanese deities. This significant deity, who appears in Japan’s genesis myth and who is referred to in the story of the sacred sword, is very mysterious and at the same time somewhat violent. Mt. Yahiko, which enshrines this prominent deity, is nowadays equipped with a cable car line that will take you to the top in just a few minutes. You can of course use your feet to get to the peak where the deity resides. The cable car gets busy at weekends. It’s no doubt that this mountain sits as a special place in the soul of the locals. It’s great to see so many people gathering around where the deity is enshrined to enjoy the mountain on clement days. Such sights remind me of the story of how the deity is said to have created the local province of Echigo for the local people.